SDR-Console V3 is the latest in the line of the free SDR-Console software packages from developed Simon Brown. Recently SDR-Console V3 left its 'preview' software status and moved into 'beta' production status. SDR-Console is a general purpose SDR program similar to other software like SDR#, HDSDR and SDRUno. SDR-Console V3 however sets itself apart by being one of the most feature rich packages with goodies like advanced DSP and NR options, frequency favorite lists, IQ recording and playback with reverse and fast forward, built in CW Skimmer and satellite tracker, independent receiver control with matrix view, signal history export, a recording scheduler, remote server and in the future support for SDRs with transmit capability. One interesting feature released with the beta version is the SDR-Console server, which allows you to use an SDR remotely over a network such as a local LAN or over the internet. We tested the server on our local machine. After setting up the server account, adding an RTL-SDR radio definition and installing the server Windows service we were able to successfully connect and receive flawlessly. The server appears to limit the maximum bandwidth to 1 MHz. 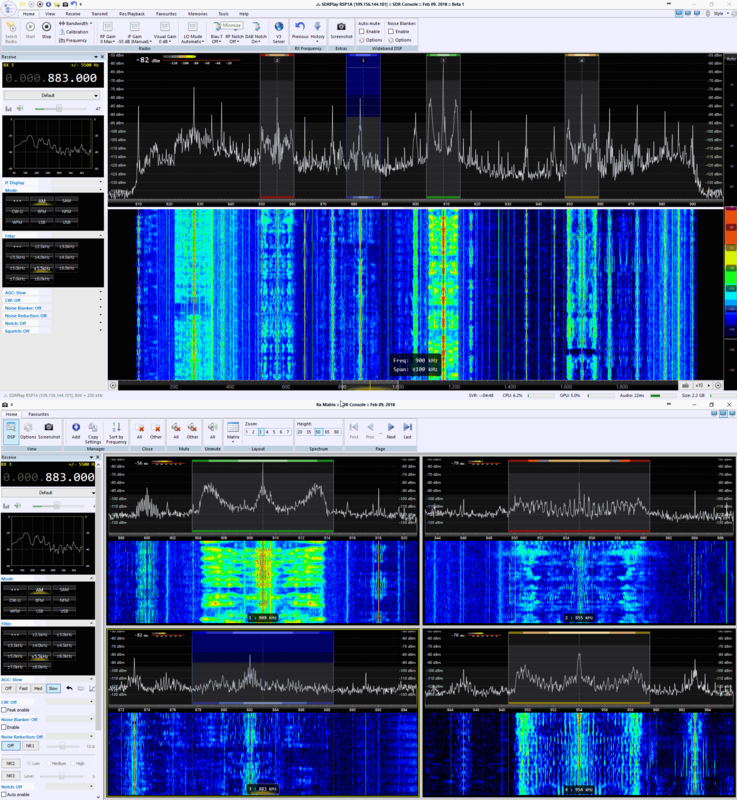 SDR-Console and the server currently support multiple SDR hardware including the RTL-SDR. SDRplay have blogged about support for their line of RSP products too, and have also created a public internet connected RSP1A demo which anyone can connect to and use (assuming that you have a decent enough internet connection). A list of public Console V3 servers can be found by clicking on the 'SDR Space' button when adding a 'V3 server' radio definition in SDR-Console V3. 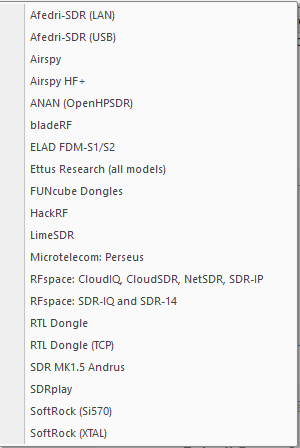 Currently there are multiple locations and SDR hardware publically available including ELAD FDM-S1's, SDRplay units, Airspy HF+'s as well as RTL-SDR's. We tested a few remote servers and were able to easily connect to most of them and get good smooth throughput. SDR-Console V3 can be downloaded here. Below we show a screenshot of SDR-Console V3 Beta 1 receiving from a remote SDRplay RSP1A with multiple IF channels selected and with matrix view active on a second screen. Also check out the post the swling.com blog did on the beta release to see an additional perspective and some example videos of SDR-Console V3 in action. I hope he adds transmit support for the LimeSDR Mini. THANK YOU! ~! Honestly I never meet him, so this unfounded plug ~ but you should really ante up anything 5$ 10$ whatever you can, for what he doing for US it well worth it.